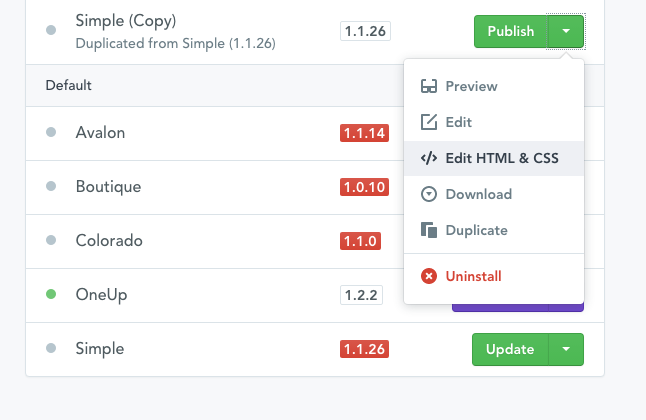 If you are comfortable with editing CSS and HTML files you can completely customize your Selz Theme to make it look exactly how you want it. 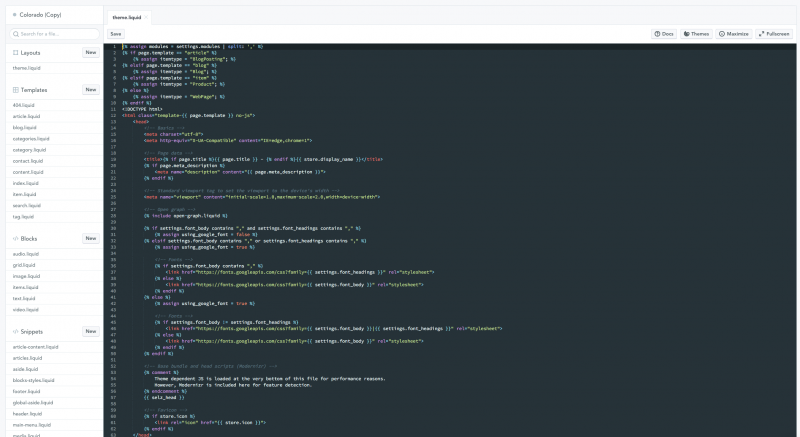 The Selz Theme Editor is a powerful and easy-to-use editor that lets you customize your themes and review them in real time. 1. Sign into your Selz account and go to the Installed Themes page. 2. You will see a list of the themes you already have installed. 4. 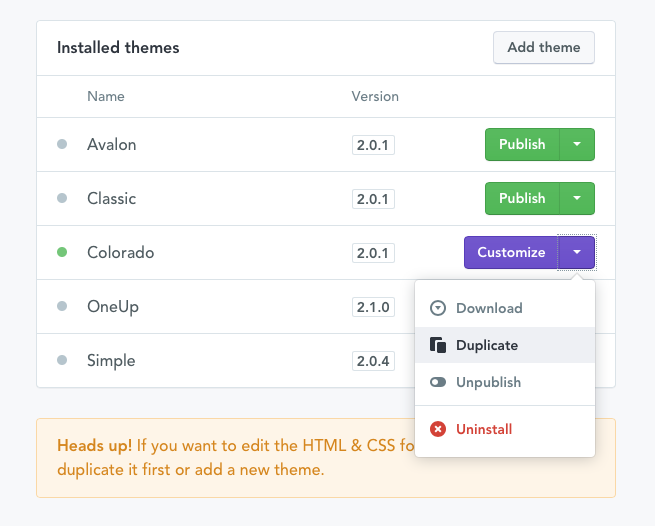 Choose the duplicated theme and from the drop-down menu select </> Edit HTML & CSS. 5. This will display the Theme Editor. 6. Choose the files you want to edit. Make your changes and hit Save. 7. To view your changes just select Preview from the drop-down menu beside the theme.